Looking for a way to spend your day in Monterey? Don’t worry, we’ve got you covered. 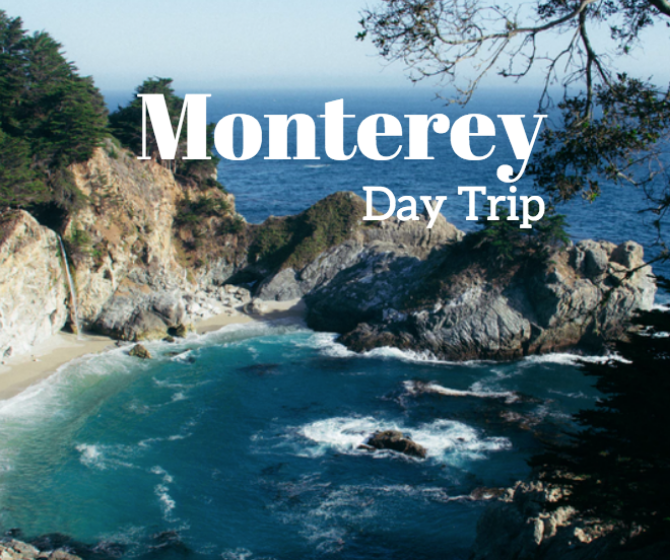 Check out some of these activities you can easily enjoy during your day trip to Monterey. The Monterey Bay Aquarium is a great place for everyone to enjoy. From families with kids to friends on vacation, the aquarium is a fun and educational experience you’ll be sure to remember. At the aquarium you’ll be able to learn all about the different species that call the monterey bay home. Additionally, there are various exhibits and also daily shows and feeding presentations that are held daily such as the penguin and sea otter feedings. Come and see what you can discover at the Monterey Bay Aquarium. The Aquarium is open 10am to 5pm daily. Get your tickets today! Cannery Row is a significant part of Monterey’s history. Perhaps made famous by the novel of the same name by John Steinbeck, a visit to Cannery Row is a great way to get a feel for the Monterey area. The area was originally known as the site of sardine canning factories, which played a huge part in the growing economy of the area. Today, the area is also filled with unique boutiques, delicious restaurants and more making it a great place to walk around and explore. Stop by one of the boutiques and pick up a gift or souvenir so you can always remember your trip to Monterey! The famous 17 Mile Drive is a great activity to go on if you want to take a leisurely drive and soak in the sights of the Monterey area all in the comfort of your own car. As you drive along the road, you’ll get front row seats to some of the most beautiful cand dramatic coastlines on the West Coast. Take in the waves crashing onto the coast and if the weather is nice, you’ll probably even see surfers riding the waves. The road is well signed and easy to follow. Access to the route is only $10.25 per vehicle. Additionally, the fee is reimbursed with a $35 or more purchase at all Pebble Beach Resorts restaurants excluding the Pebble Beach Market.